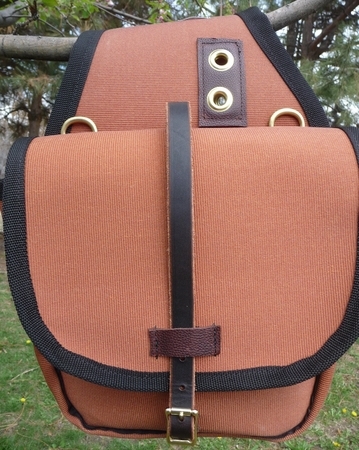 We now offer Saddle Bags in our popular 28 oz. Bear or Iron Cloth material. These bags are made in our shop and build to last. All edges are edged with a binding tape in order to prevent the material from fraying or ripping out. The leather straps are a 1in oiled harness leather. 1 x 1in D-ring is attached to the back side of each bag.